We've got a cool Christmas treat today for Wild Cards fans. There's a brand new Wild Cards story up today on Tor.com. The title is "The Thing About Growing Up in Jokertown." 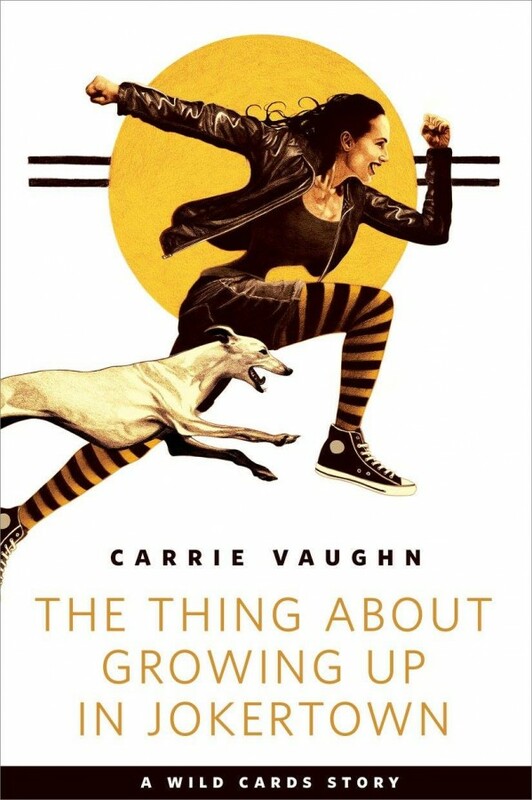 It's from Carrie Vaughn, and it features two of your favorite Fort Freak beat cops, Rikki Michaelson and Beastie Bester, back when they were teenagers, long before they joined the force. The cover is another cool one from John Picacio. Like all the fiction on Tor.com, you can read it for FREE. I hope you'll enjoy it as much as I did. Great story, thanks for sharing - I really enjoyed it. Another book I would have to check out . That's great, thank you so much for sharing!! Merry Christmas, dear Mr. Martin. You inspire me and have given me many worlds to hide in when my world is feeling too "cloudy".